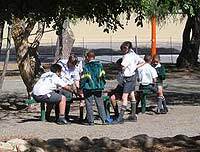 Enigste parallelmedium laerskool in ons streek. 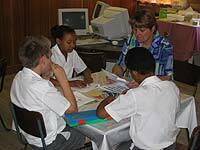 Interactive, multi-cultural experiences with learners of all cultural backgrounds. Holistiese benadering bevorder u kind se individualiteit. 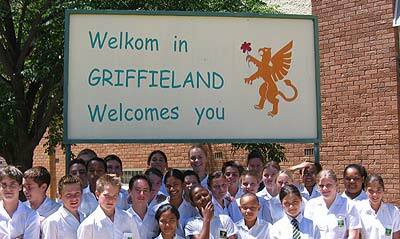 Exposure to English, Afrikaans and Xhosa languages and cultures. 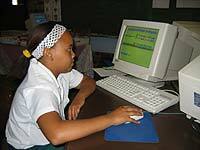 Participation in writing and poetry competitions. 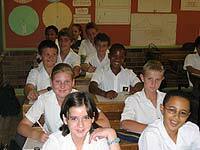 Regular participation of all learners in annual AMESA Mathematics Challenge and Living Maths. Integration and consolidation of learning areas in modern computer and information centre. All learners use Office XP. Sportspanne word jaarliks blootgestel aan baie toerspanne en wedstryde buite die liga. Ons O/13 A rugbyspan het 23 wedstryde gespeel - 411 punte vir hulle en 210 punte teen hulle. 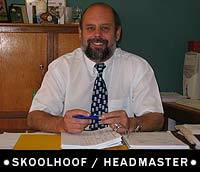 Afrigtingsklinieke word vir leerders en personeel gehou. Kursusse word beplan vir leerders wat belangstel om te kwalifiseer as kriekettelling houers. Hokkietoer na Kaapstad - ONOORWONNE! 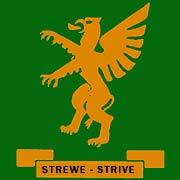 Netbal (O/13 span) - 2de in die SWD-streek vir Love Life Spele. Die Atletiek wen die Gamka-Oos byeenkoms vir die 3de agtereenvolgende jaar. Ons tweekamp atlete se prestasies is onder die Top 10 in die SWD. Ons is ook baie trots op ons eie Springbokkie in Gimnastiek. 43 Leerders verwerf SWD kleure in sport. 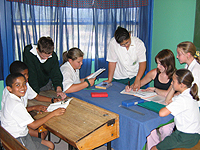 Van Reede organises the Southern Cape camps. Presented to Grade 7 learners. Visit our colourful mural outside the Oudtshoorn Police	Station! Individual piano and recorder lessons. Annual UNISA practical and theory examinations. Regular performances at concerts, music evenings and art festivals. School Choir: Our own CD released recently. Vroeë identifisering van spesifieke leerprobleme. Leerondersteuning word aangevul met rekenaargesteunde onderrig. 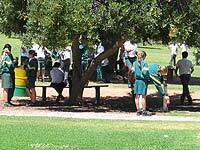 Separate facilities for primary school children at our two local high school hostels. 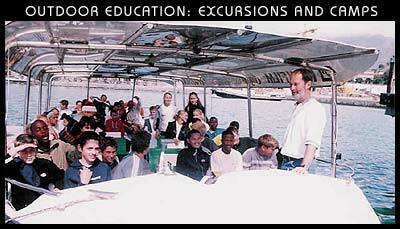 Transport to and from school for extra-curricular activities and evening functions is provided.